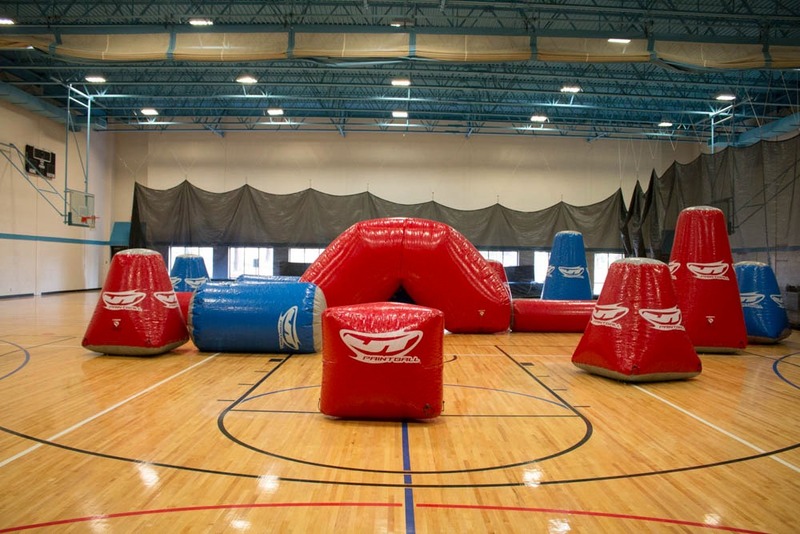 Lambright Sports & Wellness Center can set up an indoor paintball arena inside our Blue Gym. Because the arena is indoors, we do not use traditional paintballs that burst with paint. We use reusable rubber reballs; they offer a mess free environment that parents love, and saves money on cleaning paint off your bunkers and field. We have the following equipment available for checkout: markers (guns), face masks, and reballs. There is no extra charge for the equipment, although if you break it while using it, you will pay for it. We suggest that you wear long pants and a long sleeve shirt.